Lawyer joke is no joke: what do you do about attorneys who lie, or otherwise engage in deceptive conduct? 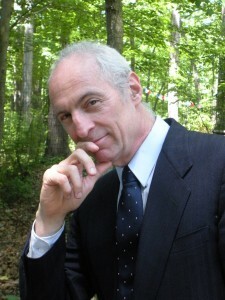 I have been an attorney for more than 20 years. 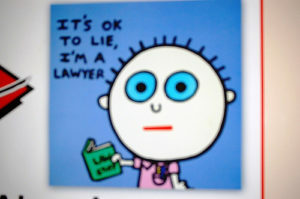 Unfortunately, I have seen more than my share of attorneys who are not honest, at least in the process of litigation. For example, an attorney may allege facts that cannot be true because there are indisputable documents that prove the attorney is wrong. For most of us, that would be considered lying (especially if someone continues to make the same misrepresentations of fact after it is pointed out). But this New York law (Judiciary Law §487) goes a step beyond and has some serious teeth. A violation of Judiciary Law §487 is a criminal offense with at least a potential for jail time for the lawyer. In addition, a party who is injured by deceptive conduct covered by this law and who can prove it in court, is entitled to triple damages. What this means is that if you can prove a violation of Judiciary Law §487 (a big if), and if you can prove damages (an even bigger if), the court will triple the damages that are to be paid to you. If you proved $500,000 in damages, the court would award $1.5 million. This blog is not meant to be a detailed analysis of the law, but just to alert you to its existence. Because of its complexities and the way that it has been interpreted by courts, you definitely should seek the advice of legal counsel if you believe a New York attorney may have violated the law. treble damages, to be recovered in a civil action. What is also very significant about this particular law is that you could potentially bring an action against an attorney who has not represented you. In a legal malpractice action, there almost always has to be an attorney-client relationship. In an action based on Judiciary Law §487, any party who is injured by an attorney during court proceedings has the potential to bring this action. The Amalfitano case re-establishes that even an attorney’s unsuccessful attempts at deception, when directed at a court, may be actionable an subject to triple damages. In future blog posts, I will talk about specific cases, but for now just remember that at least in New York whenever talking to an attorney about malpractice, you should also find out if you have a viable claim under Judiciary Law §487. What options do clients have to dispute legal fees with Connecticut, New York, or New Jersey attorneys? When is a legal malpractice expert not an expert, and why should I care?